It typically costs thousands of dollars to send one employee to one of the national conferences. This includes registration, lodging and travel. Hands down, in-house training is the most cost-effective means of providing education and training for your practice. Training is provided with your equipment and the experience is tailored for your organization’s needs and goals. In-house training eliminates the ability for staff to edit information and allows the entire team to hear the same message and to question the trainer directly. PetED also has a training site in Willow Grove, Pennsylvania for individualized training. 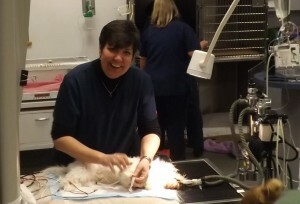 This experience is limited to 3-4 technicians or veterinarians. 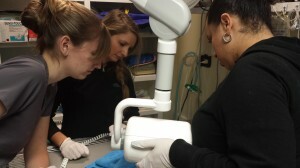 Again, the wet labs are able to be tailored to your practice’s specific needs. This site is located 0.6 miles off the PA Turnpike and there are hotel accommodations next door.